The last car show of 2017, and what a way to end the year! Hot Import Nights brought the summer sizzle with insane cars on display. Add the hottest import models from both the US and Australia, supercars from all continents, and huge variety of modified rides on display, Hot Import Nights is a bona fide premier auto event. It was super tough to pick the cars, but these are what we reckon are stars of the show! This obese E30 belongs to Redha, an admin of a wildly popular Facebook page European Motor Fanatics. He has a lifelong love for…you guessed it, Euro cars. A current owner of three BMWs, he decided his E30 318i should go under the knife for Hot Import Nights. Built in just three weeks, the Pandem kit you see here was sourced from Carbon Plus in Melbourne. Frantic phone calls were made, and countless nights were spent in the garage to get it fattened up for the hottest import show of 2017. Redha has wildly succeeded as you can see here. Sitting on ridiculously wide 16in BBS RS wheels re-barrelled to fill up the wide guards, the E30 has a presence like no other in the hall. Ben’s Nissan Stagea is famous. Like, really really famous. On the Internet. Where a whole series of YouTube videos has been dedicated to how a Nissan V8 made its way into what was originally an AWD family station wagon. Ben, A.K.A. the Mechanical Stig (the very same one on Mighty Car Mods), found the Stagea really cheap, when he was trying to sell a GTR 34 front end. During a trip to Japan, MCM mates began hatching a plan to make it something different. A VH41 V8 was originally found in Nissan Cima; big lumbering plush sedans found transporting top officials and businessmen around town in Japan. 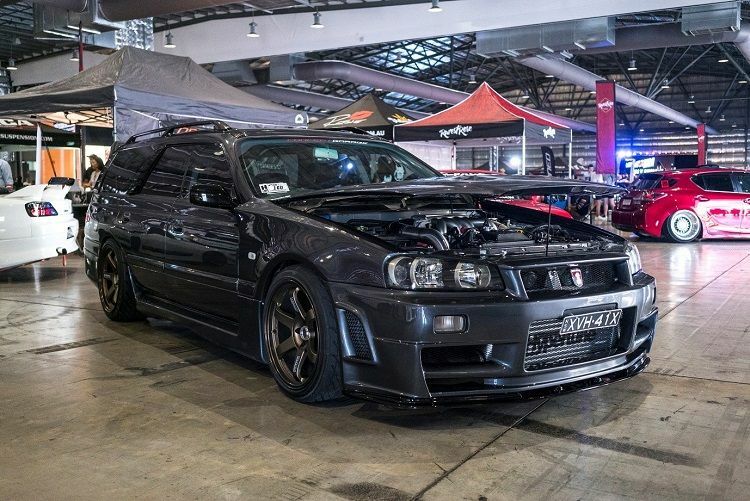 After 14 or so episodes of Mighty Car Mods, the result is a Nissan V8 turbocharged, all-wheel drive, manual, double unicorn Stagea, with a GTR 34 front end. Say that out loud, as it could be the coolest thing you’ll say in 2018. Start your year right and all that jazz, y’know. Conquering the car world, one field at the time, MCA Suspensions brought out their latest toy to display alongside their stand at Hot Import Nights. This is their second Toyota 86; while the other one packs a lot more horsepower, this one doubles up on neck snapping power. A rare Aimgain/Stancenation body kit widens up the 86’s flanks to accept the deep dished 18in Work Meister L1 three piece wheels. Bringing the wheels and the arches together is a set of MCA Suspension Red Series coilovers with the traction mod, so it can ride low and comfortable, yet vastly improve the handling over the stock suspension. Finally, the icing on top is the mind bending psychedelic 3M wrap; the subtle dark silver complementing the spectrum shine perfectly. The wide rear is topped off with a Voltex Type 7 swan-neck spoiler, rising high above the roofline. The stock headlights and tail lights have ditched for the more complex Valenti designs. Under the hood, the FA20 has been tuned to accept E85, and spits spent gasses out the back courtesy of the Invidia 4-1 Equal Length extractors and titanium cat back. The smallest details make the biggest difference, and this Pulsar SSS is full of them. Mitchell’s 2000 Pulsar SSS has come a long way. Inspired by aerospace and aircraft elements, the SSS is visually striking from afar, yet is incredibly polished and detailed when you get up close. The widened Crazy Hornet front guards have been given the carbon fibre treatment, while the flying tiger decal on the front bar shows the N15 is ready to eat up other road users. 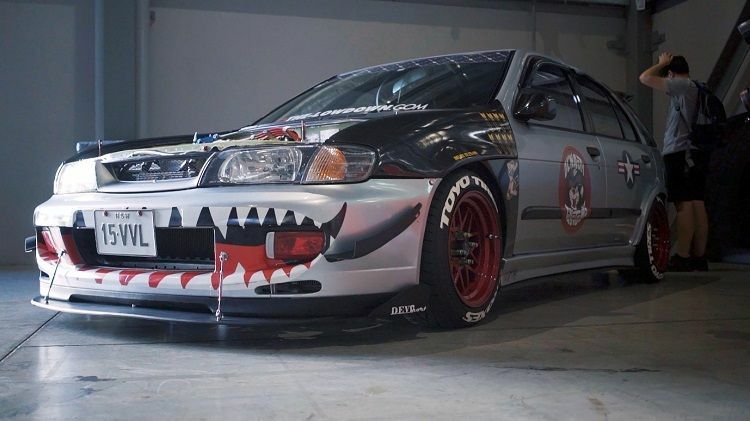 The rare JDM SR20VE engine has been given the more aggressive cams from the even rarer SR16VE, a customised Toyota individual throttle bodies, and tuned with an Adaptronic ECU. 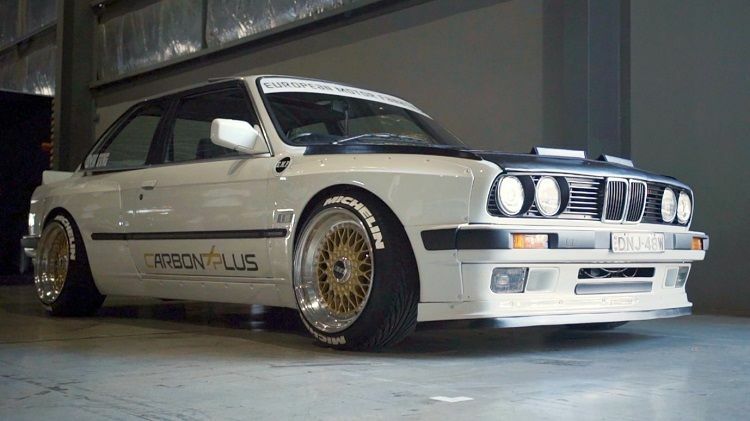 150kW is nothing to sneezed at in this car weighing only 900kg. Inside you’ll note Recaro seats from a Civic Type R, Snap On Pry Bar Handle gear knob, Defi gauges and the Grip Royale steering wheel for optimum control while touge dogfighting. Rare JDM parts like the Lucino tail lights and number plate surround, VZR rear pods and front lip, as well as Almera side skirts round off the more subtle details of the exterior. It sits on 15x8.5 Fatlace AME wheels, with grippy Toyo R1R rubber. The bright red wheels are finished off Garage 326 lug nuts and spiked caps. Small packages can have the biggest impact. 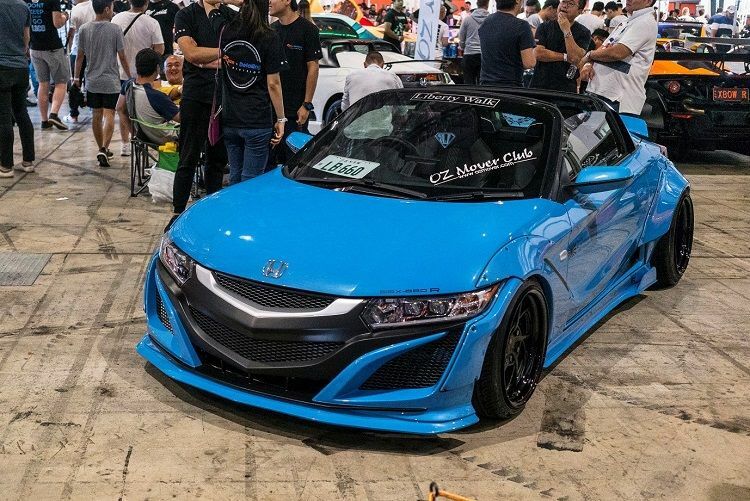 It’s clearly what Honda had gone for with the S660. The diminutive convertible was built with Japanese kei car regulations in mind, and thus punts out only 64hp from its 660cc 3 cylinder turbocharged engine. With a mid-mounted engine, it drives as good as it looks. Brought in by OZ Mover, this S660 was initially a car to test its marketability here. Having sold a few, the owner kept this baby blue one and decided to go a bit over top. Liberty Walk released a kit for the S660 and it was decided that was what the tiny roadster required; more phatness. The slammed Liberty Walk S660 is also blessed with a Mugen aftermarket exhaust, just in case you missed the hyper blue paint and wide flares. The front bumper is also completely redesigned to mirror its more expensive, exclusive stable mate, the new NSX. Side Mugen mirrors, and a special Liberty Walk x Frontline 16in wheels finished it off. Jaw dropping, yet elegant in execution, David’s S2000 is a masterclass in being clean, simple and slammed. It kicks off with a full respray in Honda OEM deep purple, a colour only available on the Honda Odyssey of years gone by. The deep purple appears black until light hits it. A rich violet hue only then becomes apparent to the eye. The occupants are covered by an OEM hardtop and held in by a pair of Recaro SPG bucket seats. We’ve been told that the front bar is the only one in Australia; it’s a rare CR version that was only released in the UK, Japan and the US. Other bits include a Voltex Wing and rear diffuser, and carbon fibre side diffusers and strakes to round out the rest of the exterior bodywork. 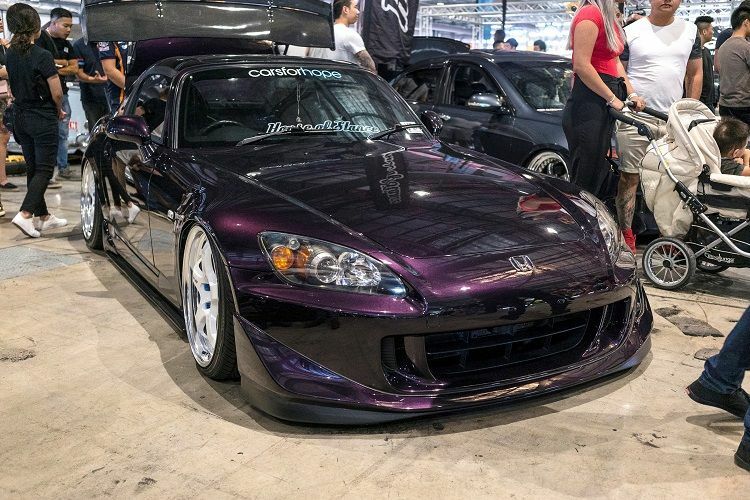 You might notice that this S2000 is laying on its rails. Thanks to an Air Lift suspension kit with a custom boot install, the 18in super clean Work Meister S1s tuck into the wheel arches at a touch of a button. There is little need to modify the F20C other that forced induction, but David has chucked on HKS headers and a Hi-Power exhaust to help liven up the driving experience. KustomKraft Fabrication’s drift Mitsubishi Evolution 8 was on display at HIN, bonnet ajar to show that this is a truly one of a kind car. Extensive fabrication work feature throughout the ride, all for the purpose of sliding and smoking the rear tyres for as long as the driver want to. The almighty 4G63 has switched from transverse to longitudinally mounted; its cam gears now faces forward. Stroked and forged for power and reliability, the 2.4L engine gets fed air and fuel through a Garrett GTX3582R and a set of 2000cc ID injectors. A Haltech ECU and Turbosmart goodies ensure that E85 and spark are delivered correctly where needed. All this power is sent straight to the rear wheels courtesy of a Tremac TR6060 in a custom bell housing, driving a custom tail shaft and turning a R32 GTR rear differential. It also looks stunning thanks to a full wrap from Prowraps and Graphics, taking out the Hottest Livery award. 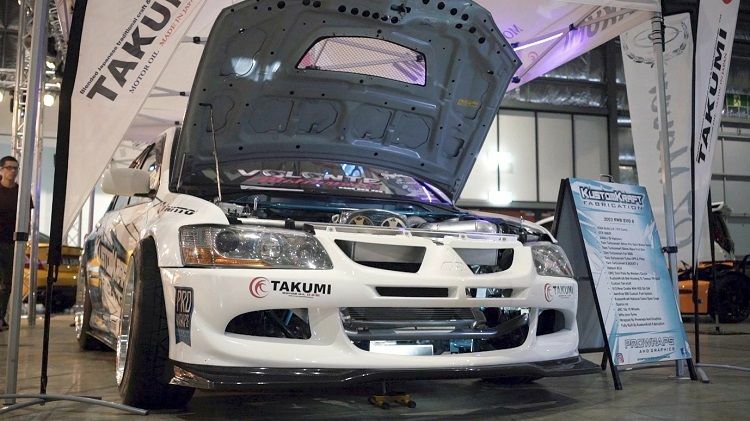 Voltex, Bride, RE-Amemiya, Feed, RAYS, GReddy, Craftsquare, Cusco, HKS…the list of top shelf JDM parts goes on and on and on. 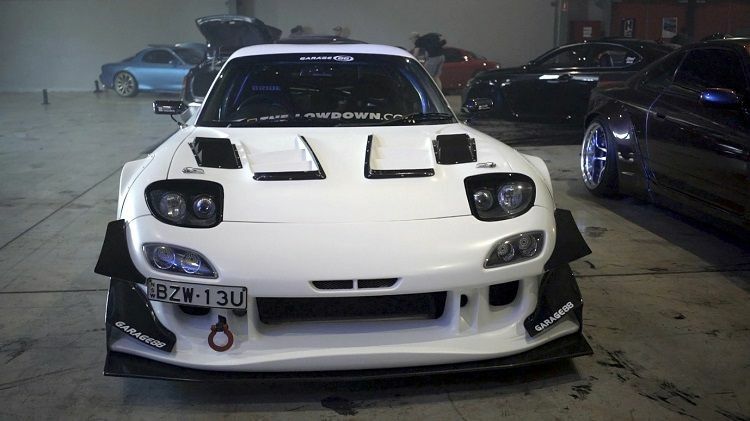 Chris’s Mazda RX-7 has been a long build, as each modification or part is simply the best he could get for the car. Supplied and mostly installed by Garage 88, purveyors of high end car modifications, the RX-7 is a regular fixture at their workshop. The track inspired kit and style came from Chris’ own desire to race in the World Time Attack Challenge, and all that aggressive aero isn’t just for show; they actually enable the rotary coupe to corner at dizzying speeds. Propelling the beast is a custom HKS T04S single turbo setup, running E85 on 14psi. Motive force is directed through a OS Giken enhanced gearbox and a Cusco Pro Adjust rear LSD. Inside, a pair of Bride seats hug the driver and passenger firmly, while a Vertex steering wheel helps the pilot steer the RX-7. 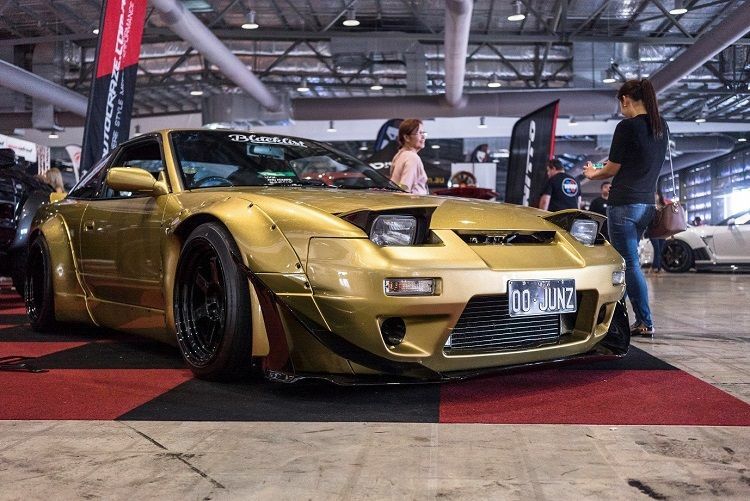 Straight outta Japan and given an Hot4s twist, Junior’s Nissan 180SX snaps necks easily wherever it goes. The 180SX used to be Junior’s daily driver, but when he got side swiped in traffic, he decided to go all out with the rebuild. 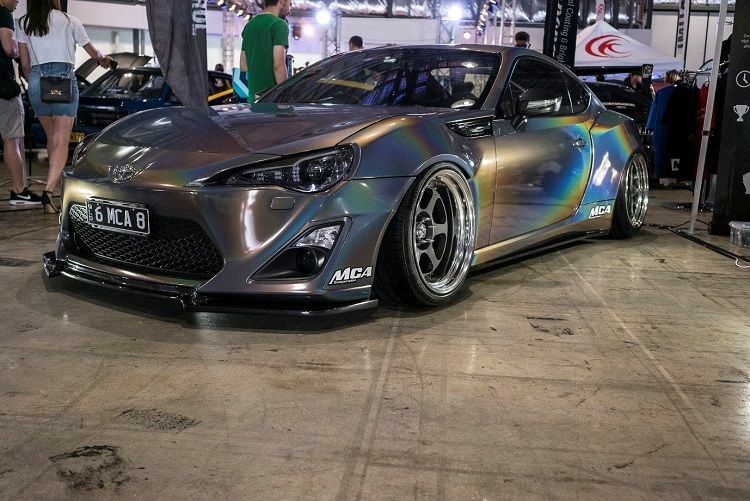 The aggressive looking Rocket Bunny V2 kit was chosen for this car, and repainted in a custom House of Kolor Gold. It’s got so much flake it in you swear it’s glitter up close. Filling up those widened guards are 18in Volk Racing TE37Vs with negative offsets, running on Nitto Invo rubber. There’s inner beauty too, with the interior retrimmed in black suede and fitted with Bride seats. Under the bonnet, a Garret GTX2867R has been fitted to the SR20DET, and a Haltech PS1000 brain ensures it works together with a custom CAI and front mount intercooler to pump out around 250kW. The lack of a rear bumper exposes the XForce Varex exhaust muffler; required as Junior daily drives this 180SX everywhere! As he doesn’t believe in bags, it’s been slammed to the ground thanks to a set of BC Racing coilovers. Thanks for posting this, a good read.